With so much info out there, we are all on a quest for unbiased information. Journalism is no longer just a news reporter’s game. Many of us have become dependent on various forms of media. People take to the Internet quicker than you can even say “Internet” when something erupts. That is why now, more than ever, we have to be careful of our sources. Although the general public may have some good points about what is going on in the world, often we will find a lot of commentary or opinion writing out there. We need to recognize when something is subjective versus objective in order to have all the facts; then we will be able to form our own opinions. We cannot solely be dependent on everything we hear, and we cannot simply take statements at face value. Whether it is educational, environmental, or political info, there are always individuals who have agendas behind what they report (more often than not when it comes to the political). But what we–the public–want to know is what is real and what is neutral. Independent writers may report some facts, but they are also likely to rattle off a lot of opinion. Real, unbiased info leaves the commentary out and states only what is known to be fact. This can then get reported to the public, leaving us to decide how we feel about something. But we can’t have an opinion article shaping the way we think without us even realizing it. Good contacts are invaluable to unbiased writing. 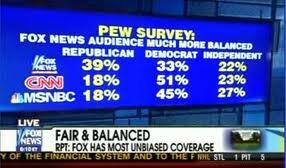 The points of unbiased individuals are what make for a good article. 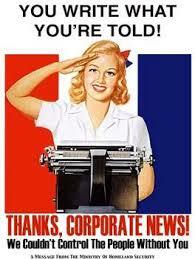 Having biased individuals with an agenda give you information is useless when it comes to solid news reporting. While on a quest for unbiased information, you must look out for those independent writers who have their best interests in mind. News is about the communities it serves, not the personal gains of who is writing it. Neutrality is key. Having neutral writers and neutral sources is how you truly avoid either writing or reading something that is biased. If there is a conflict of interest, then a reporter should opt out of writing that piece. Sometimes it is really hard to detach yourself from what you are writing. After all, we are all only human. It is perfectly normal and OK for you to have your own opinions. But they need to stay just that–your own–when you are writing for other people. Remember, objectivity is the key! If you only cite one individual that is giving you subjective information, then all of your work is shot. Have a wide variety of interviewees so you can confirm information that you have received. Another key point to keep in mind is to assume no one knows anything about what you’re writing. This, of course, is not always the case. Many people will already have background information or will have read something else covering the same topic. However, you have to assume someone out there does not have even the most basic of facts. Write for that person. This way, you won’t leave anything important out. Even if your piece is a follow-up to a longer string of articles, you want people to be able to read yours and have the entire story. So even though practically everyone has become a reporter in a sense, documenting life through their phones and social media accounts, it’s crucial to identify when you are reading a good article. On the reporter’s side, you must always keep your sources in mind. If you have a conflict of interest, remove yourself from the subject matter. You won’t be doing anyone any favors by feeding them information with swayed opinion. 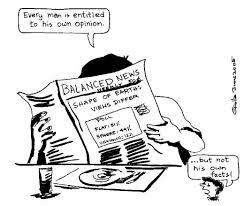 Objectivity is golden when it comes to news, and we must all recognize that to become better informed individuals! Real, unbiased news leaves the commentary out and states only what is known to be fact.